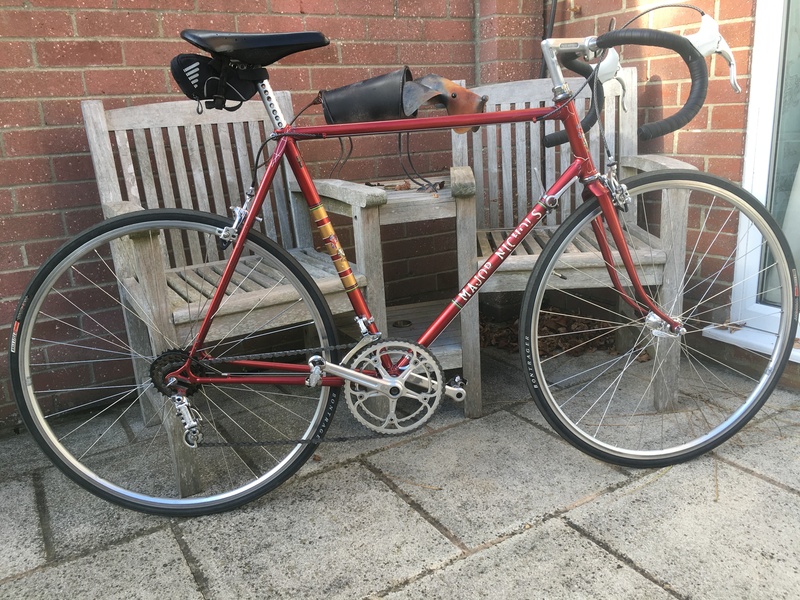 A Reynolds 531DB frame built on Nervex Pro lugs. Originally ordered through Tours Cycles according to Major’s shop record. 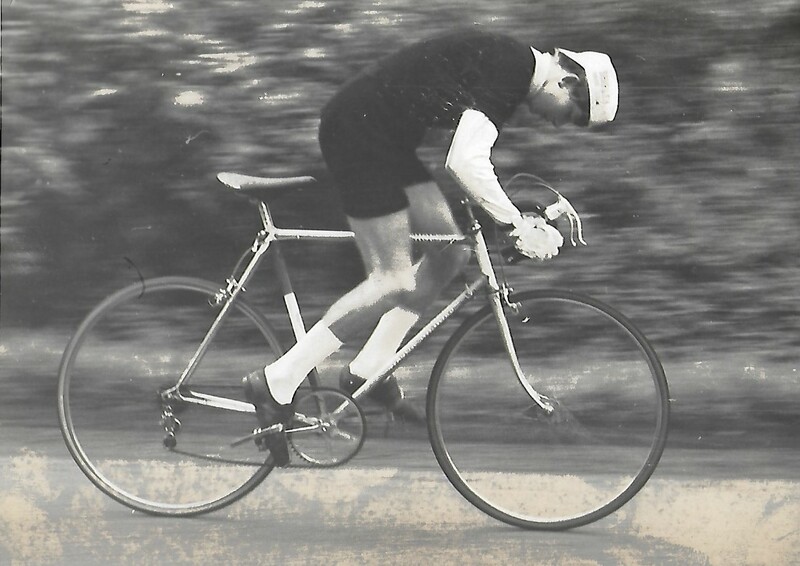 Subsequently bought as a present for Tim, seen here as a junior, from Priory Cycles. You will notice the forks are typical of the period and are topped by a Vagner ref. 12 fork crown. 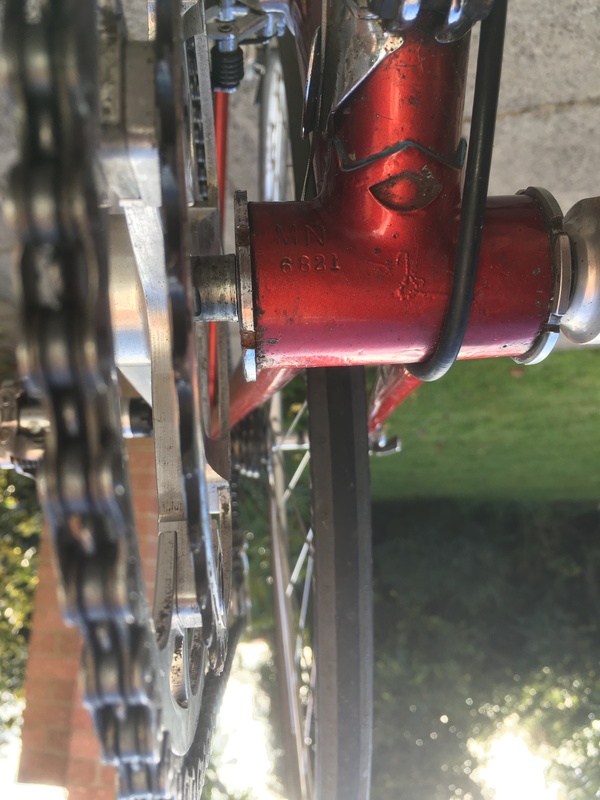 This was subsequently changed because Tim preferred the fully sloping Cinelli crown now used and fitted when the frame was refinished. It has a full wrapover seatstay, curved chainstay and seatstay bridges, the latter reinforced. 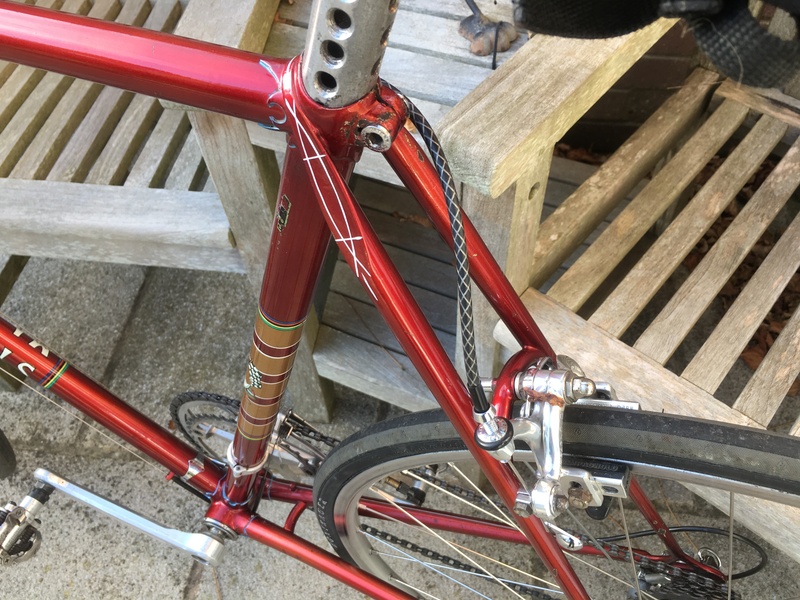 The refinish by Major is a stunner, a flamboyant red finish with 4 flam gold panels on the seat tube. 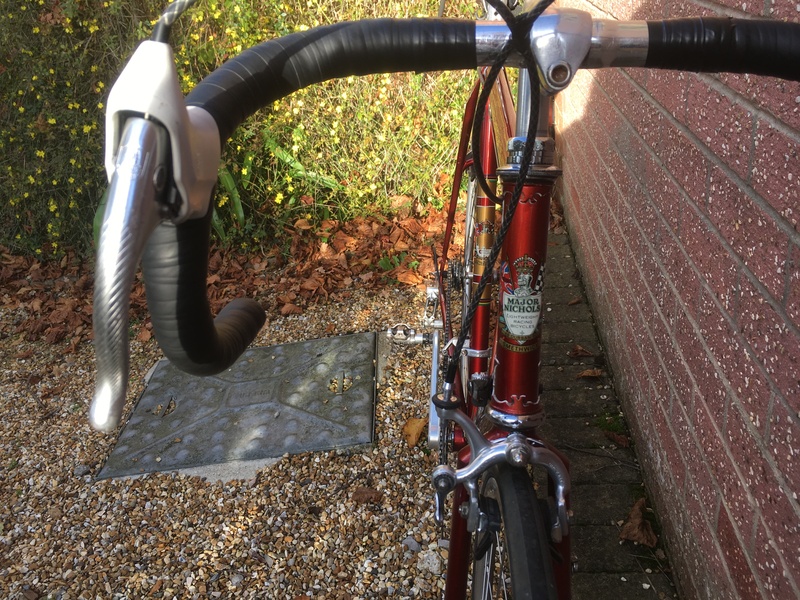 We can see from the use of the Durban Road flag and shield head and seat tube transfers that it was done post 1970. It has Down tube gothic script name transfers in white with the black edge. The lug lining is in blue and white with a fine bold topeye double fishtail motif in white. 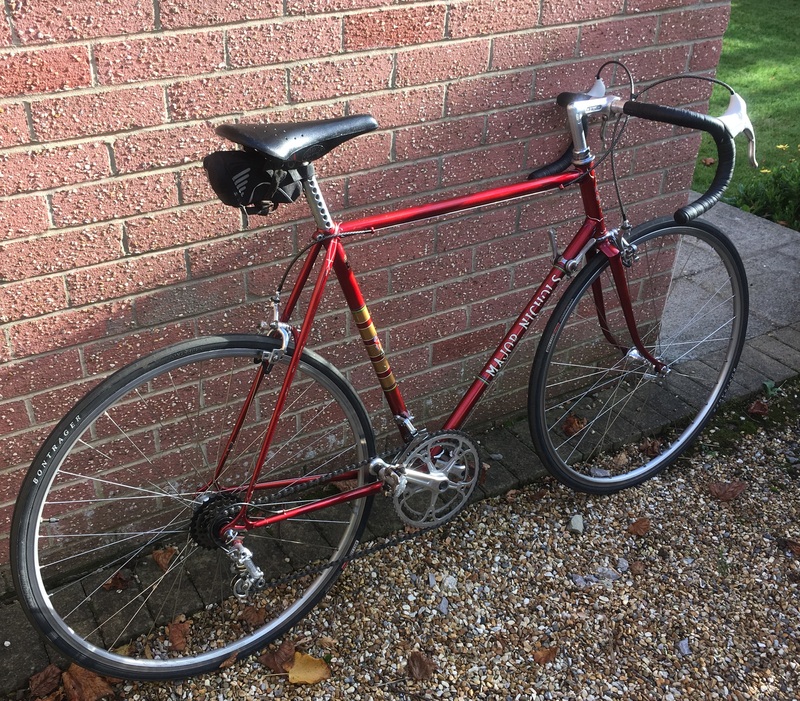 Nicely kitted out including a Nuovo Record crank set and derailleurs.